A stern, weathered look belying his 26 (!) years, Brooklyn Robins’ (aka Superbas) outfielder Jimmy Johnston poses for a portrait taken in 1916 by the International Film Service. After just a cup of coffee with the White Sox in 1911, and a third of a season with the Cubs in 1914, Johnston raked for the PCL Oakland Oaks in 1915 with a .348 average. Signing a contract with Newark of the Federal League for 1916, as he received no offers from MLB (whose owners assumed he was still tied to the Cubs), when Robins’ owner Charles Ebbets expressed interest in taking over his contract when the league collapsed, he accepted (although after trying to hold out for the $4,000 he was promised from Newark, he conceded to Ebbets’ offer of $3,600). 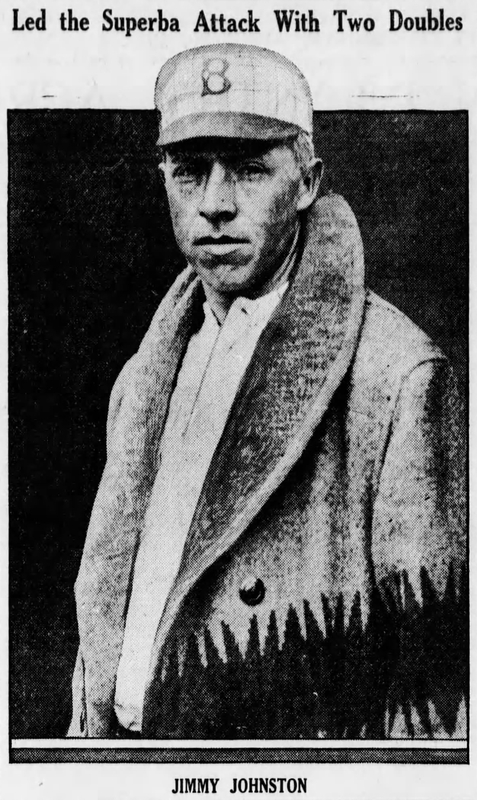 “If he has aught of consistency he should bat .300 or more in fast company, and he is quite a fielder, judging from his records,” wrote the Brooklyn Daily Eagle in January 1916. While he didn’t quite hit .300, the “invaluable” Johnston was dependable and hit .252 as a clutch performer, helping Brooklyn to their first pennant since 1900 and first World’s Series appearance. And Johnston did reach the predicted .300 (on the nose) in the Series against the Red Sox (including getting a single off Babe Ruth in Game 2), although the Robins lost in 5 games. Johnston would become a most versatile player for Brooklyn; only an outfielder in 1916, he’d play 7 positions in 1917 (except pitching and catching). Also, his batting averages would rise in following seasons; as now the Robins’ starting third-baseman, he’d hit .291 in 1920 and lead the majors in games played (155) as Brooklyn secured another pennant, although again fell short in October, this time in 7 games to the Cleveland Indians. And with the dead-ball era buried, Johnston would have 3 seasons in a row batting over .300 in 1921-23. 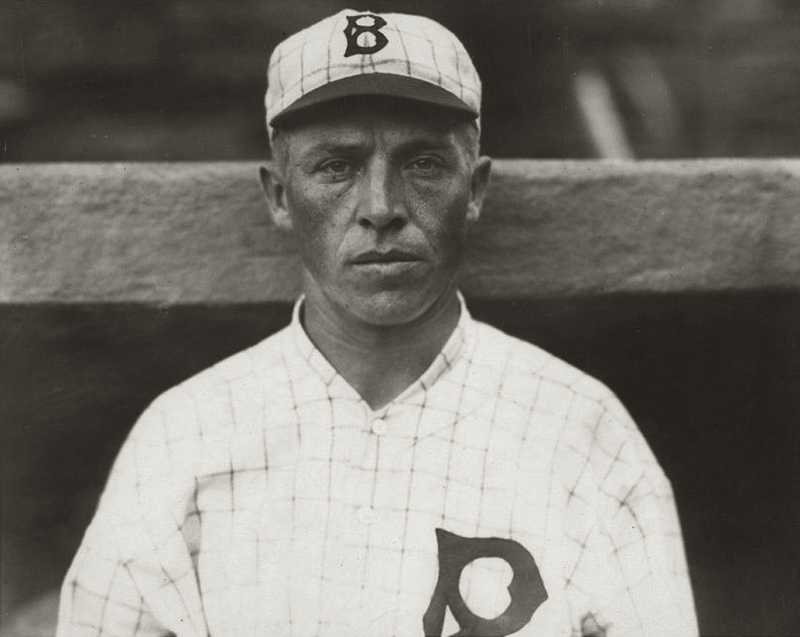 He would again flirt with .300 in 1924-25 (.298 and .297 respectively), but was traded to the Braves for 1926; with age catching up to him (35), he was waived by Boston mid-season and picked up by the Giants, but would then retire at season’s end. All in all, the steady Johnston played 10 years for Brooklyn, and the Daily Eagle came very close to that prediction of 1916; his overall batting average for his Robins career? – .297.